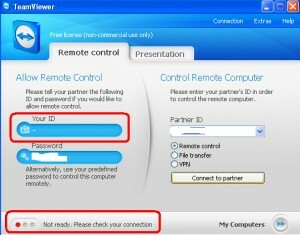 Problem with TeamViewer – Getting message – Not ready. Please check your connection. How to solve this problem.